Pete Holmes, Lauren Lapkus, Artie Lange et al. 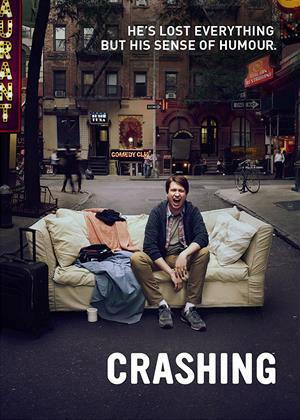 All eight episodes from the first season of the HBO comedy created by and starring Pete Holmes. Pete (Holmes) is a young comedian living in upstate New York whose life is turned upside down after his wife Jessica (Lauren Lapkus) cheats on him. After catching her in the act with art teacher Lief (George Basil), Pete is left homeless and, with nowhere else to go, heads to a comedy club in the city where he befriends fellow comedian Artie Lang, who lets him stay on his couch for the night. After driving Artie to a show in Albany, Pete meets T.J. Miller, who offers to help him try and get his life back on track, starting with getting some gigs and recovering his possessions from his ex-wife, who's planning to move to Florida. The episodes are: 'Artie Lange', 'The Road', 'Yard Sale', 'Barking', 'Parents', 'Warm-Up', 'Julie' and 'The Baptism'.